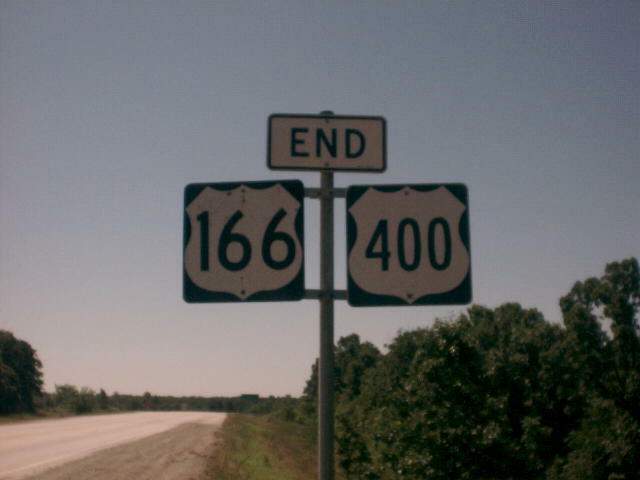 US 166 and US 400 are duplexed together at their eastern ends. This is END signage just before the I-44 interchange (where the two routes actually end) west of Joplin, MO. Photo by Jeremy Lance.